Stumptown Cold Brew Chocolate + Milk is simply Stumptown Cold Brew Coffee, half & half, sugar, cocao, arrageenan, and salt. How Does Stumptown Cold Brew Chocolate + Milk Compare? 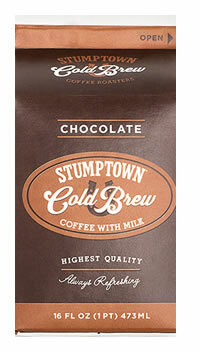 Stumptown Cold Brew Chocolate + Milk contains 21.25 mgs of caffeine per fluid ounce (71.85mg/100 ml).